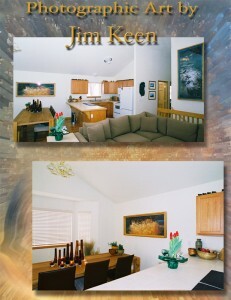 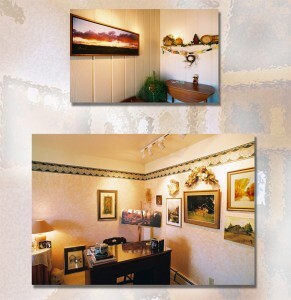 Any of Jim’s photographs can be enlarged to nearly any size to fit your home or office decor. People often buy his books and use them as a way to check colors and how a given image will best fit with other art they may have. 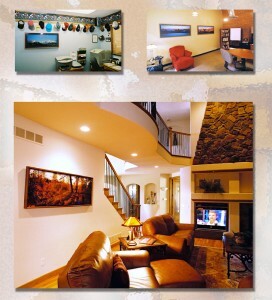 Here are a few samples of both home and commercial installations. 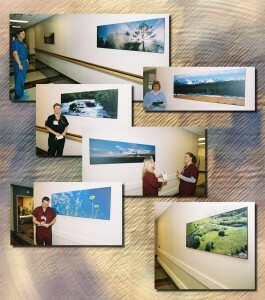 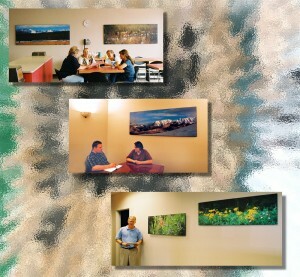 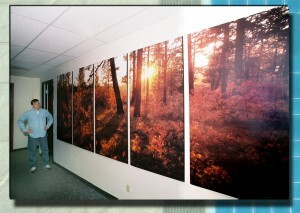 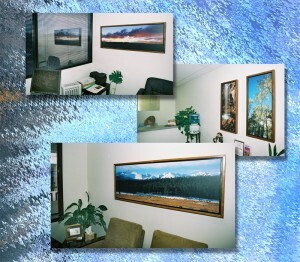 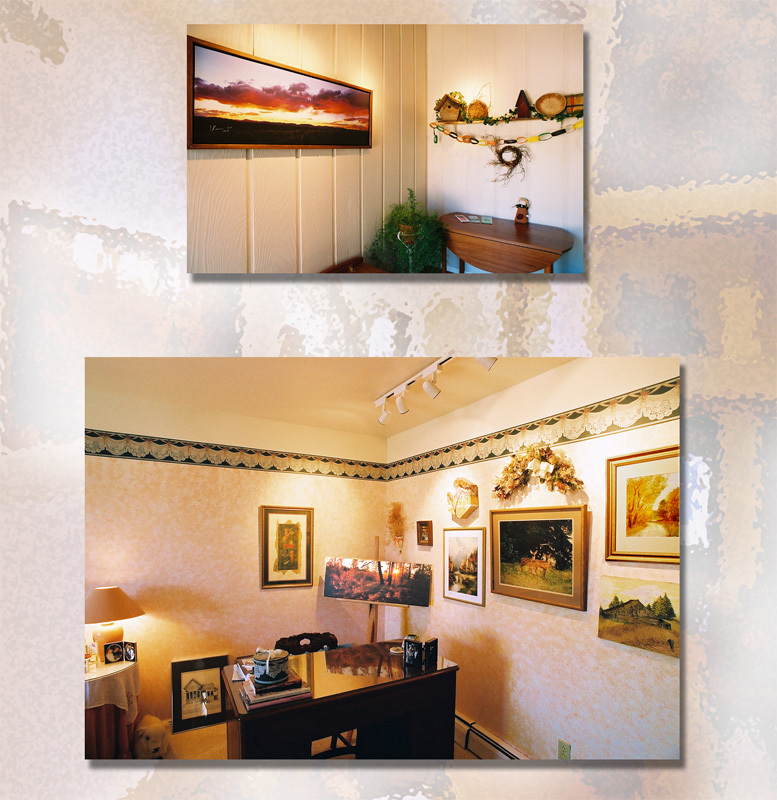 The photographs can be printed directly on to canvass or laminated on to a variety of surfaces from foam board to metal.